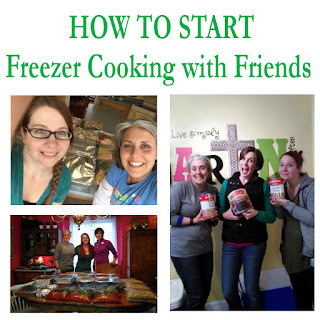 It all started when I started doubling a few freezer meals on my own. Every time one of those meals saved the day, I fell more in love with freezer cooking. I have now been freezer cooking with friends for a little over a year. We have done seven rounds, but I have only had the time to blog about three. I originally asked a close friend if she would try freezer cooking with me, because I wanted to expand my freezer meals, and I do everything better when I have accountability of doing it with a friend. Below are some things I have learned in my year of freezer cooking. Pick wisely, you will spend a lot of time with this group. I am blessed because my two freezer friends are the BEST (sorry, you can't have them!) I would recommend to keep it to one or two friends who have a similar sized family, allergy concerns, and/or schedule as you (we all have families of 4 to 5 people, and are able to have our prep day during a week day afternoon). more. While it is tempting to add more, it's gets overwhelmingly big quickly. Remember that with every person you add, you lesson the days you can meet, recipes they will agree to make, and space in your fridge for your groceries (trust me, I know from personal experience) . The Number One mistake you can make is picking too many recipes for your first time (We did this!!! Don't do it!!! I planned 7 recipes; it took us 5 full hours to make 5 of them and we had to divide up ingredients and do the other two at our own homes the next day by ourselves). I would recommend your first prep day to be NO MORE THREE RECIPES. Of those three recipes, you should not have anymore than one that needs ANY type of cooking (cooked pasta, cooked meat, simmered sauce, etc). KEEP IT SIMPLE. If you get done in an hour, you know you can do more next time! Maybe start with three meals with the same meat, like 3 Easy Chicken Crock-pot Meals. Just because it is your favorite recipe, does not mean it is freezer friendly (again, learned from personal experience). And just because it is online, does not mean it works. We did a meal from a very famous "No-Cook" freezer meal Blogger, and it was NOT GOOD. She recommends freezing raw hamburger in soups, but we found the texture of the meat after boiling in a crock-pot was just gross. We personally found that only fresh (not frozen) chicken is good to freeze uncooked, and we cook all red meat before adding it to our recipes. Go with each person's strengths, and divide up the responsibilities. I am the shopper in my group because I like making lists & have a membership to Sam's, while one of my friends is the host because she has the biggest and cleanest kitchen. Another one of our group cooks some food before prep day, like cooked shredded chicken or 15 lbs of mashed potatoes! We have found the most cost effective way to handle shopping is to have one person do all the shopping at Aldi and bulk food stores, then split the cost evenly. Make sure you take into account how big your fridge is, and how long you will have to store the raw ingredients! I shop when I have time, so it may not necessarily be right before the prep day. Another option is dividing up shopping by having one person buy all the meat, one person buy the dry, and one person the produce & frozen. I label all the ziploc gallon bags beforehand, which saves a lot more time than you'd think. This is an easy thing to prep if you just do one recipe at a time as you watch TV after bedtime.We also cook all red meat the week beforehand. You can do this without a bunch of extra fuss. Plan Sloppy Joe's into your family's meal plan, then 6 lbs of ground instead of your usual one! When it comes to prep day, I show up to my friends house about 11:00am, and I am there until about 2:30 or 3:00pm after clean up and loading of vehicles. It takes about a half hour to get all groceries unloaded and set up (we set all like items together like a grocery store). .
Actual food prep time can take between 2 and 3 hours. While cooking, we divide and conquer. We split up recipes, usually two of us beginning with the most labor intensive (like Baked Ziti to Stacked Enchiladas) while the third begins cutting raw chicken and/or putting together the recipes that required less steps (crock-pot Ziploc bag recipes). When one of us was free, they help hold gallon bags open for another or clean dishes as we went. It get loud and fun as we yell out things like "Where is the can opener!? ", " Can I use the rest of these black beans, or does someone else need them?!" , or "We need Hacienda Chips and Ranch!" (that last one might just our group). 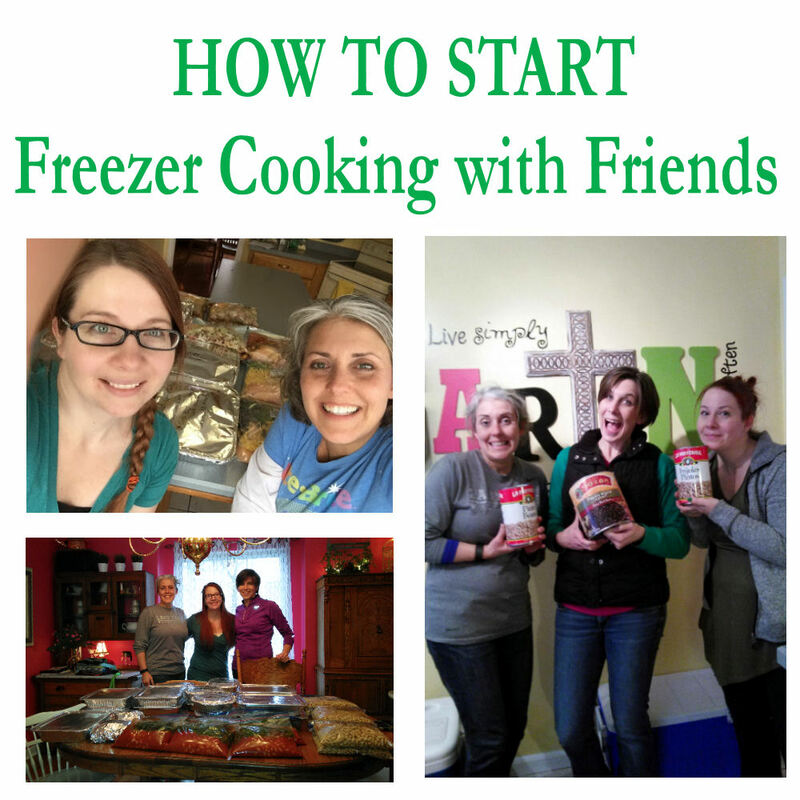 I hope this helps someone else start a freezer friends group, you won't regret it! My group has been a blessing to me a lot of ways. While I love that I get home cooked meals for my family, I also love the hours spent laughing over ridiculously giant cans of black beans, or multiple selfie attempts! (above selfie took about 10 tries) GOOD LUCK!